Bud & Donnie Pence were members of the Jesse James gang. The Pence brothers are ancestral cousins of Gov. Mike Pence in Indiana. Today Gov. 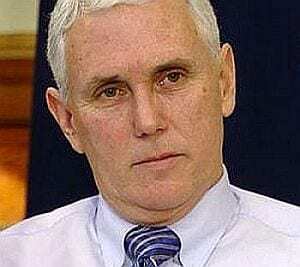 Pence signed SB101, Indiana’s “right to discriminate” law. Old history has come around again. The solution is to declare liberty for all, and boycott Indiana. Those Pence people have seemed somewhat flaky to me. 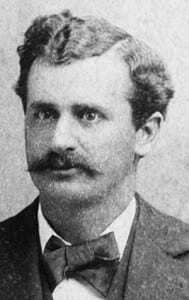 When Bud and Donnie came riding through Kentucky with Quantrill, Jesse & Frank James, and the Younger brothers in 1865, Maj. James Bridgewater chased them into a deadly shootout on a bleak winter night outside Harrodsburg. Eight men were killed. Bridgewater’s wife was Bud and Donnie’s cousin! It appears that even among family, the Pence penchant for discrimination was OK.
Today, following the signing of the bill by Gov. Mike Pence, I have decided to boycott the 5th Annual Authors Fair in Indiana. I’ve submitted my resignation. Since SB101 is state law, I will boycott Indiana entirely. Ever since Arizona legalized bigotry with its notorious “papers please” law, I have boycotted Arizona. Previously I wrote about what the Youngers would have to say about that nativist discrimination. I also wrote about Frank and Jesse’s cousin, Daniel Lewis James, and how he would deal with discrimination, too, after his own U.S. Government blacklisted him. As other states legalize their blatant bigotry and hatred, I will boycott them, too. The history and people I write about are devoted to social justice. As an author, so am I. If I disrespect my subjects and their beings, as Arizona and Indiana disrespects the people its laws target, I as a creative artist becomes a target also, as does the brand of my art. Bigotry, when supported, diminishes not one person or one class, but everyone. Upon my liberty and for the liberty of others, I will stand up against such bigotry and put my art, my money, and my livelihood where my mouth is. I have never forgotten “with liberty and justice for all.” That spells equality.